MIGRAINE IS a neurological disorder characterised by attacks of head pain and other reversible neurological and systemic symptoms. It is the third most prevalent and the sixth most disabling medical disorder globally, and affects 15 per cent of the population. In the past, the disorder was thought to have involved just blood vessels (vascular), but recent research has revealed that it is primarily a brain disorder (neurological) related to a wave of nerve cell activity called cortical spreading depression. The blood vessel changes are now thought to be secondary to the brain activity. Abnormal modulation of excitability of different regions of the brain could be the crucial factor responsible for migraine attacks. Consistent with other advances has been the identification of biomarkers in migraineurs. Glutamate (neurotransmitter), calcitonin gene-related peptide (CGRP is a protein involved in the transmission of pain), ß-endorphin (involved in pain management) and nerve growth factor levels have all been found to be substantially altered in the cerebrospinal fluid. Much progress has been made in understanding the genetic basis of migraine and this has revealed monogenic (involving a single gene) and polygenic (controlled by a group of genes) subtypes of migraine. The mainstay of acute treatment has been the class of drugs called triptans, launched in the 1990s. The triptans are drugs that were developed under the mistaken notion that blood vessel dilation caused the pain and, therefore, constriction was necessary to alleviate it. It is now established that triptans interrupt the release of messenger molecules, specifically CGRP. This interruption blocks the trigeminal nerves (that supply the head and neck) from communicating with the brain stem's pain-transmitting network of neurons. This new understanding of triptan activity opened up possibilities for drug development with a focus on CGRP, which has now emerged as a key neuropeptide target for migraine therapy. 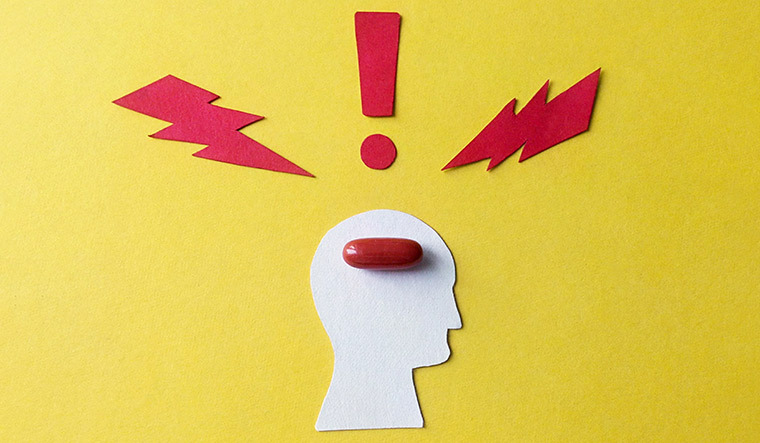 Several migraine-specific drugs have recently been developed. Monoclonal antibodies (derived from a single cell) targeting the CGRP pathway are the latest development in migraine prevention. These medications represent specific tailored therapy based on presently known pathophysiological mechanisms. CGRP and CGRP receptors are found in large numbers in the trigeminal system. CGRP levels increase during a migraine attack as well as in chronic migraine. While all these new drugs target and block the CGRP pathway, there are subtle differences between these products. The three drugs so far approved by the United States Food and Drug Administration are Erenumab (Aimovig), Fremanezumab (Ajovy) and Galcanezumab (Emgality). All three CGRP blockers are administered by injection subcutaneously as monthly doses. Each of these drugs has demonstrated effectiveness in reducing the number of migraine days. Two oral small-molecule CGRP receptor antagonists, Ubrogepant and Rimegepant, have been successful in trials as abortive agents without signs of hepatotoxicity (chemical-driven liver damage), but still await approval. Another major breakthrough in the treatment of migraine has been the development of ditans. Lasmiditan belongs to this family and is currently the most advanced molecule that has withstood phase III trials for the acute treatment of migraine. The ditans are similar to triptans but without their vascular side effects. Ditans will be very useful for patients who have cardiovascular and cerebrovascular risk factors. Parallel to the development of novel therapeutics for migraine, there is now an array of treatment strategies, ranging from nutraceuticals to neurostimulation techniques. A number of complementary and alternative treatments like butterbur, feverfew and coenzyme Q10 have been listed as effective migraine treatments. Botulinum toxin type A has been approved by the FDA for use in chronic migraine. Non-invasive brain stimulation includes transcutaneous magnetic stimulation (TMS) and transcutaneous direct current stimulation (tDCS). There are currently two commercially available tDCS devices that have been studied on migraine—Cefaly (supraorbital stimulation) and gammaCore (vagal nerve stimulation). Both use low-dose electric currents and have been approved by the FDA. Also, glutamate receptor blockers, pituitary adenylate cyclase activating peptide (neurotransmitter) blockers and nitric oxide synthase (signalling molecule) inhibitors have all shown promise in clinical trials. The development of clinical, genetic, serum or imaging biomarkers or a combination of these will, in addition, predict treatment response and clinical disease course, and then would begin an era of precision medicine for people with migraine. 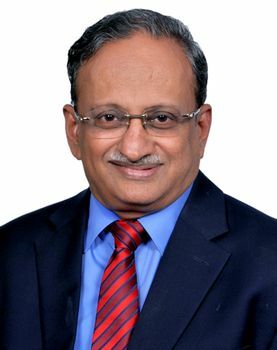 Ravishankar is consultant in-charge, The Headache and Migraine Clinic, Jaslok Hospital and Research Centre and Lilavati Hospital and Research Centre, Mumbai.